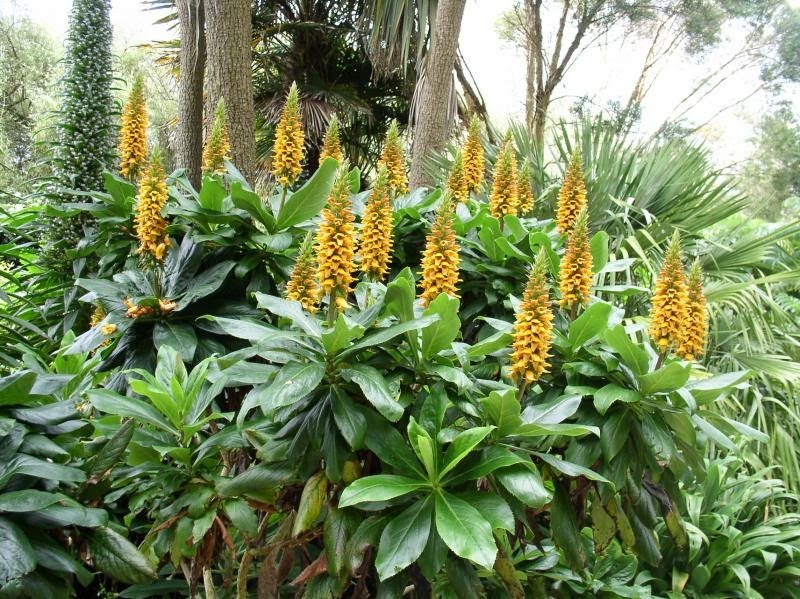 Commonly known as the Canary Island foxglove, Isoplexis canariensis is a gorgeous, evergreen shrub native to both the Canary islands and the island of Madeira. Upright in habit, it will usually grow to 4 -5 feet tall, although some individual specimens can reach up to 6 ft tall given the right conditions. In its native habitat Isoplexis canariensis is usually found in humid woodland areas although it is occasionally seen growing in far drier woodland areas. Despite its subtropical origins it performs at it best in cooler conditions making it a suitable plant for the temperate regions of southern Europe. It will even grow outside in the south and west of Great Britain so long as it can be provided with a sunny, sheltered position out of the way of cold winds. In warmer countries, a position that is shaded during the hottest part of the day with give better results. Although capable of surviving temperature down to as low as -4 degrees Celsius, it will not thank you for it and so it is best to avoid freezing temperatures wherever possible. To keep your plant in optimum condition, keep winter temperatures above 6 degrees Celsius which for many of us in the cooler climates of northern Europe will mean growing your Isoplexis canariensis in a pot so that it can be brought in under protection in freezing weather. 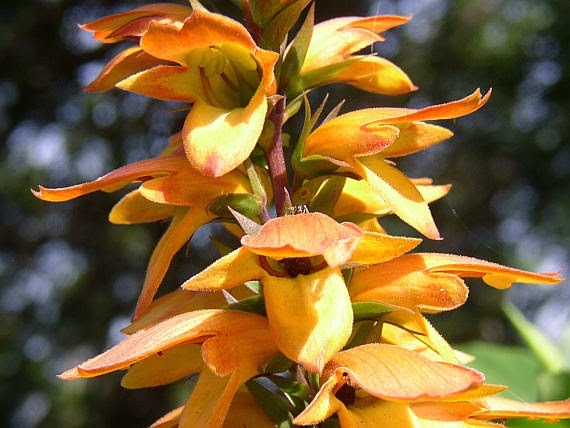 Luckily Isoplexis canariensis does particularly well in a pot as it is easy to emulate the well-drained, low nutrient soils of the volcanic islands upon which it has evolved. Use a good quality compost such as John Innes 'No 2', but mix in a good quantity of horticultural grade grit-sand to improve the drainage further. Keep the roots moist over the growing period but avoid having them waterlogged. A 10 liter pot will be fine, but if you are happier with moving heavier specimens then consider using up to 25 litre pots. Feed with a liquid soluble-fertilizer once a month and keep the compost just on the moist-side over the winter. 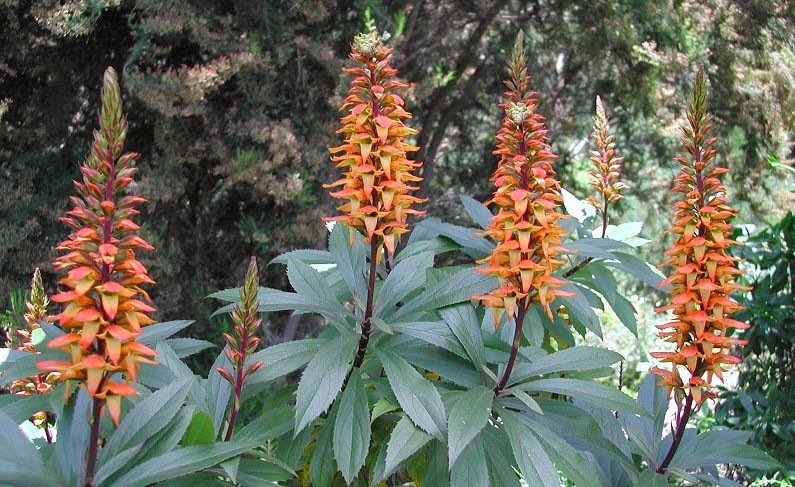 Isoplexis specimens that are going to be planted in the ground will prefer a light, moist, well-drained conditions. Dig in plenty of humus-rich compost such as leaf-mold or peat but avoid nutrient-rich matter such as well-rotted farm manures or garden composts.